It is always fascinating to taste Rousseau’s Chambertin-Clos de Bèze and Chambertin side-by-side, as they are flagship wines for the domaine and also reference points for Burgundy more broadly. 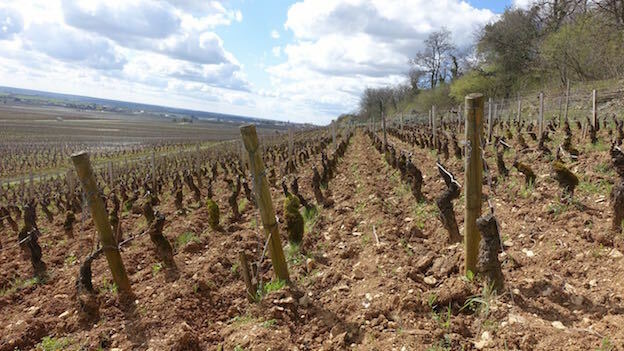 These eight wines set the stage for an animated discussion of terroir, vintages and a handful of other subjects that are near and dear to the hearts of Burgundy lovers. Domaine Armand Rousseau is run by Eric Rousseau, one of Burgundy’s most quiet and unassuming vignerons and only the third member of his family to run the domaine his grandfather Armand founded over a hundred years ago. Charles Rousseau took over the domaine in 1959 after his father was tragically killed in a car accident and managed it until the early 1980s, when Eric took over. Sadly, Charles Rousseau, Eric’s father, passed away earlier this year after a long and distinguished career during which he was an ever-present figure at the domaine. 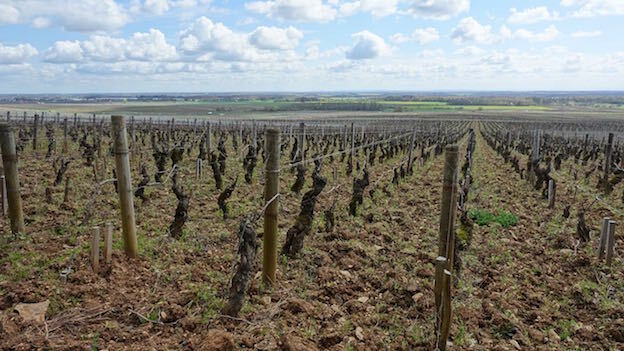 Rousseau owns a total of 2.54 hectares in Chambertin spread across four parcels and 1.42 hectares in Chambertin-Clos de Bèze divided among three pieces. The Rousseau wines are distinguished by their extraordinary transparency to site and overall finesse, making this cellar a must-stop for Burgundy fans who want to understand the essence of Gevrey’s most important vineyards. Generally, the Bèze is marked by its dense mid-palate and depth, two qualities that give it a certain immediacy and up-front appeal by Grand Cru standards. Rousseau’s Chambertin, on the other hand, typically needs 15-20 years to enter its sweet spot. 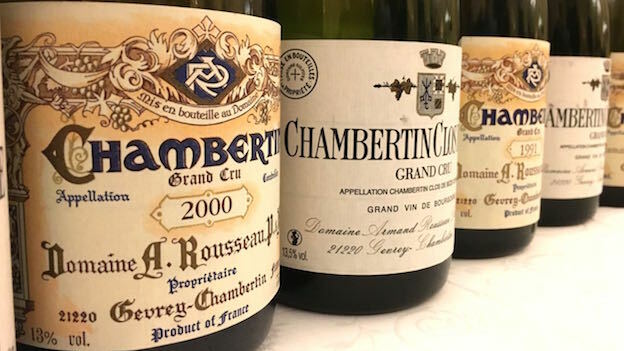 A mysterious wine that is often hard to fully grasp, Rousseau’s Chambertin embodies all of the elusiveness and multi-faceted complexity that makes Burgundy so alluring. 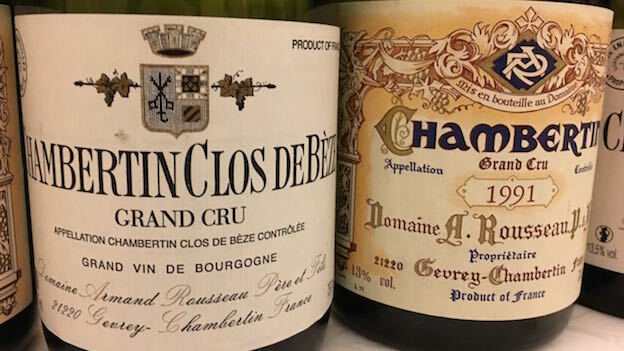 This tasting at the Villa d’Este Wine Symposium last November spanned four pairings of Chambertin-Clos de Bèze and Chambertin across the 2011, 2000, 1991 and 1988 vintages. Eric Rousseau was on hand to present the wines (all sourced from the domaine), but other than sharing a few anecdotes about the history of both vineyards and general comments on the vintages, he did not say much. Then again, it’s been pretty much the same thing every time I have tasted with him at the winery. Rousseau is a very quiet man, just like his wines. My favorite of the four vintages was 1991. “Ninety ninety-one was a bit of a forgotten vintage at the time,” Rousseau explained. “It came after 1988, 1989 and 1990, all of which were strong. Perhaps journalists thought Burgundy couldn’t possibly have four excellent vintages in a row.” I also liked the 1988s quite a bit, although in my view, the wines are ready to drink and offer little upside for improvement at this stage because the fruit is starting to dry out. The 2000s were both quite expressive, although without the visceral thrill of the very best years. Admittedly, that is a very high bar. In any other setting, Rousseau’s 2000s would have probably stolen the show. The only vintage that was somewhat disappointing was 2011. I liked the wines more from barrel and bottle a few years ago, enough to buy them. On this afternoon, though, the two 2011s were quite closed, which is not surprising for Burgundies of this pedigree tasted in their adolescence, but I also picked up on slightly vegetal notes that neither wine showed in their youth. It will be interesting to see how the 2011s behave over the coming years and decades. It is nearly impossible to dive right into Grand Cru Burgundy with some context, so the tasting starts with the 2005 Gevrey villages, a wine that shows just how appealing this vintage is at all levels. The 2005 Gevrey-Chambertin captures the richness of the year in its pliant, open personality. Wonderfully dense and expressive, especially for a village-level wine, the 2005 is drinking beautifully today. Worn-in leather, spices, tobacco and dried dark cherries meld into the succulent, expressive finish. This is a terrific village-level offering from Rousseau. 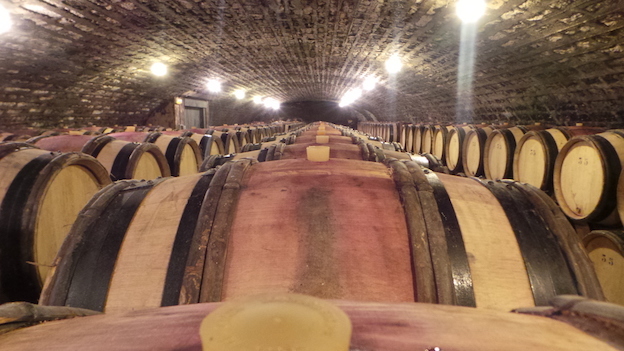 The 2011 Chambertin-Clos de Bèze is refined, silky and expressive. This is an especially understated, lifted Bèze that speaks to finesse rather than power, with a bit more red-toned fruit and overall brightness than is typically the case. Scents of rose petal, anise, savory herbs and mint add nuance throughout, while veins of underlying salinity extend the finish. The 2011 Bèze impresses with its energy and poise, but it also shows a slightly vegetal note that has not been present in previous tastings. Rousseau's 2011 Chambertin is quite a bit deeper and more powerful than the Bèze in this vintage. Here the flavors are dark, intense and boldly sketched. Black cherry, plum, spices, new leather and pine flesh out in a striking, succulent Chambertin that is surprisingly unevolved. The 2011 has enough verticality and overall structure to drink well for several decades, but readers will have to be patient. The 2000 Chambertin-Clos de Bèze is a real treat to taste as it is quite expressive, especially in its aromatics. Deep and implosive on the palate, the 2000 possesses striking textural richness, but it is also going to need at least a few more years in bottle to fully blossom. Nevertheless, this is a strong showing. With time in the glass, the bouquet begins to open up, but the 2000 remains an infant. The 2000 is an unusually suave, silky Bèze that emphasizes grace over power. Rousseau's 2000 Chambertin is round and spherical in the glass, with succulent fruit, silky tannin and a caressing, inviting personality that is impossible to miss. Cherry pit, plum, blood orange, exotic spice and leather are some of the signatures. Powerful yet also inviting, the 2000 should drink nicely for the next 15-20 years, perhaps longer. There is a real feeling of gravitas in the 2000 that I personally find appealing. One of the real highlights in this tasting, the 1991 Chambertin-Clos de Bèze opens with the most striking, exquisite aromatics imaginable. All of those nuances follow through to the palate, where the wine is silky, deeply expressive and captivating. Now mature, the 1991 has enough pedigree to drink well for the next two decades, perhaps longer. Mint, dried flowers, sage, cherry and hard candies are some of the many notes that are laced into the haunting, deeply evocative finish. This is just about as good as it gets. In this context, the Bèze is a bit more forward than the Chambertin, although that is really splitting hairs. Next to the Clos de Bèze, the 1991 Chambertin comes across as incredibly dense with tons of pure power and brawn. A masculine wine, the Chambertin has enough going on to reward readers for another 15-20 years. At times almost overwhelmingly virile while at other much sweeter, the 1991 is a wine that plays off the push and pull of those contrasts with tremendous eloquence. There is a level of inner sweetness that makes me think the 1991 might develop into an even more nuanced wine with more time in bottle. Although a bit slow out of the gate, the Chambertin gets better and better with time in the glass. Rousseau's 1988 Chambertin-Clos de Bèze is deep, powerful and explosive, with a huge center of fruit and imposing concentration to match. Black cherry, plum, smoke, dried flowers, menthol, licorice and worn-in leather give the wine much of its assertive personality. Although fully tertiary, the 1988 Bèze has enough depth to drink well for another decade, perhaps longer. Next to the best wines in this tasting, the 1988 Bèze is a bit compact, but it is otherwise quite pleasing. The 1988 Chambertin opens with regal, soaring aromatics. Like the Bèze, the '88 Chambertin is dense and powerful to the core. The overall impression is of baritone-like darkness and depth. Smoke, licorice, menthol and dark spices wrap around the imposing finish. Explosive, energetic and intense in the glass, the 1988 unfurls with superb grace and intensity. This is a glorious Chambertin from Rousseau.